American Warmblood Breeders and Stallions Directory - O Horse! 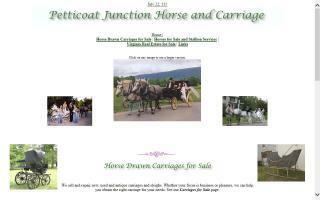 Petticoat Junction Horse and Carriage sells and repairs new, used, and antique carriages and sleighs. Located in coastal Virginia and Vermont. Horses for sale: Percherons, American Warmbloods, and draft crosses. Percheron and draft cross stallion services. Carriage service for weddings, events, and special occasions. Wildwood Farm is a premiere sport horse breeding and sales facility, as well as a center for academic instruction in all areas of horsemanship. Pacific Northwest Riding Academy, located on the property, offers instruction in western, saddle seat, dressage, driving, hunter, jumping, and 3-day eventing. We have 5 instructors on staff that report to our PNWRA Director, Carol Sutton. We breed, raise, and train our own sport horses and have an equine manager who looks after their care and training, as well as a marketing manager who continually promotes our sales stock. Wildwood Farm is home to 4 professional trainers who are experts in the Arabian breed disciplines, such as english pleasure and driving, as well as starting young horses, conditioning the performance horse, and hunter/jumper and dressage. Mystic Oak Ranch is an established breeding ranch near Sacramento, California. We breed top quality Friesian/Warmblood crosses, combining the gentle nature, baroque charisma, and flair of the Friesian with the athleticism and elasticity of the European Warmblood. 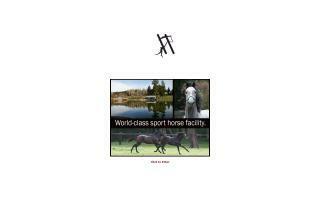 Our horses are people oriented, beautiful, sound, and highly suited for competitive dressage. Visit our website for more information on our FEI stallion and our young riding prospects for sale. Lipizzan foals and mares for sale. Outstanding Lipizzan colts and fillies available including buckskin filly x Lipizzan Champ Sire and QH sporthorse mare. Devon Champion bloodlines and imported bloodlines. Classic baroque breeding at its best.